Live the life you believe in! Since I was a kid I wanted to live like people did a few hundred years ago. Simply and self sufficiently. *I got my first sewing machine from my father when I was 11. With it I made clothes. When I was young I struggled being different. Like most teens I didn't want to stand out, so I mostly wore the clothes I made for costumes and at home. People loved my clothes and asked regularly where they could get them... So here they are. Now I sew everything on my antique treadle sewing machine. It makes a beautiful stitch! *Over time I added in skills. The lotion started with my daughter and sister who have, contact dermatitis, meaning they can't use traditional lotions and body products. 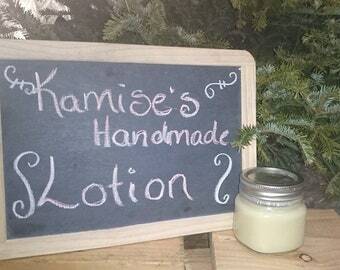 So I made 100% organic lotion that soothed their skin without the reactions! *I learned to knit so I could make socks for my family but I still haven't mastered the heel! Now I make hats, shawls, neck warmers, arm warmers, mittens and more. *I learned to make hand dipped beeswax candles to light the house, which will be for sale shortly. *I grow and process food for the family on my farm in Colorado. We are in process of buying and building our forever homestead in Driggs ID at the foot of the mountains. *I grow and dry herbs for cooking and for medicinal uses. I am an EMT and have training as a midwife. I make salves and drops for what ails the family. We practice what we preach, and want to share it with those that care about a better product, and a better way of life! Over the years I have learned to sew, grow food, make beauty products and candles, knit, and generally make whatever I need to live. After years of being told I should sell the things I make, I have decided to share my joy and passions with others!